This past weekend I attended ARCHON 39 in Collinsville, IL with a group of friends. We’ve been attending this convention for several years now, and it’s always exciting to see the guests of honor and meet new (potentially favorite) authors, artists, and filk musicians. 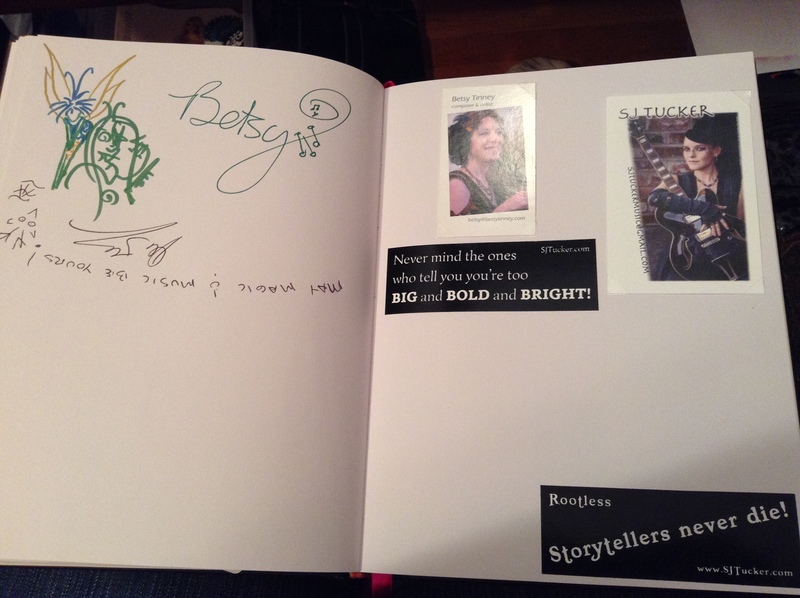 Recently, I’ve been collecting author signatures for my book collection (SASEs for signed bookplates and whatnot) and compiling the fun extras all together in one book for safe keeping/showing off. Maybe I’ll do a series of posts about those signatures and the stories of how I collected them, but for now, I want to share my ARCHON scores. This year’s Author Guest of Honor was Jacqueline Carey. I met her for the first time back in January at ALA Midwinter in Chicago, but she had several panels at ARCHON, which were very informative. I also didn’t have to compete for a seat or wait in line very long at her signing. I have to confess, when I first tried to read the Kushiel series, I was put off, but I think I might like it better if I wait a little longer to try again. In the mean time, Agents of Hel started off nicely. And, I look forward to reading more of Carey’s urban fantasy. 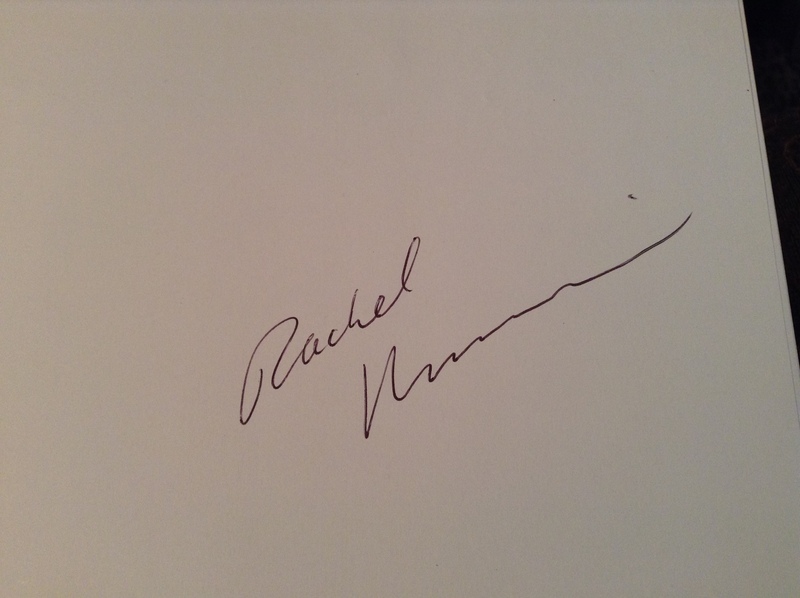 Rachel Neumeier is a local author that participates on multiple panels yearly, so I’ve actually met her before. This year we had a great conversation about writer’s block, perfectionism, and getting words onto the page, which made me want to get started on writing again! Glen Cook is an unknown author to me, but is actually a very prolific writer. He’s probably best known for his Black Company series, and I now own the first three books in omnibus form. So, I’ve been really excited for The Dinosaur Lords for several months, but due to budget and time constraints have not had a chance to read it yet. Earlier last week, I had an AHA! moment when planning my ARCHON schedule. 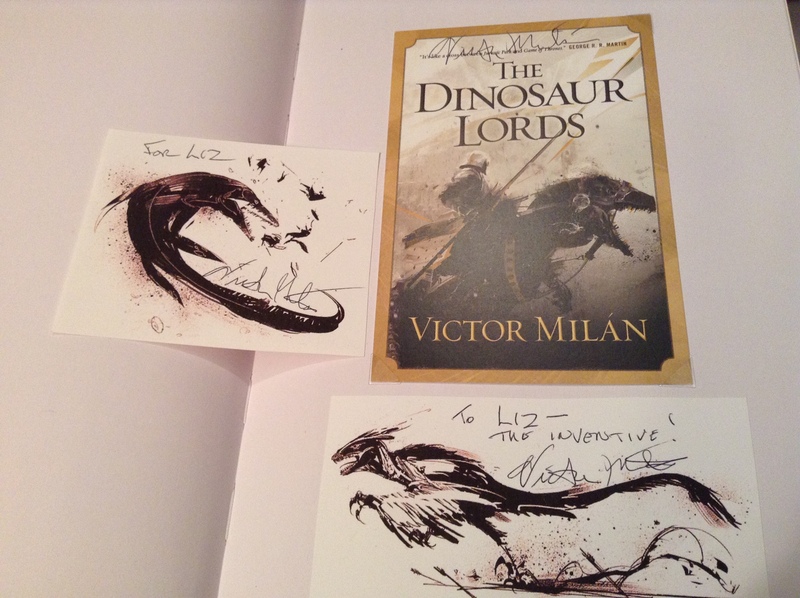 The Masquerade MC is always the same person, and that person is VICTOR MILAN, author of The Dinosaur Lords. 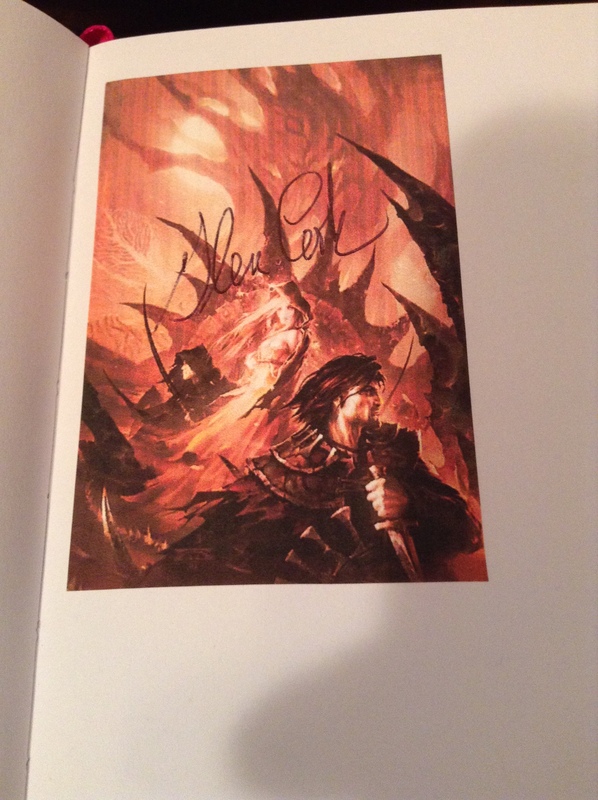 Took me long enough… Anyway, he’s pretty awesome and liked that I brought bookplates for signing since I couldn’t afford the book right now. This last group of signatures are not book related. These are S.J. Tucker, BetsyTinney, and Alexander James Adams from the filk group Tricky Pixie. This was my first time hearing any of their music, and I fell in love with the lyrical songs and the group’s energy. You could tell they were excited to be there and to play for us. I believe you can stream music on their website before you buy anything, and it’s definitely worth listening to! Overall, I had a great time meeting new authors and musicians as well as catching up with area friends. I can’t wait for next year’s convention!! P.S. One of the booksellers had signed books tucked in amongst her regular stock, and I picked up a signed copy of Mike Shepherd’s Target.